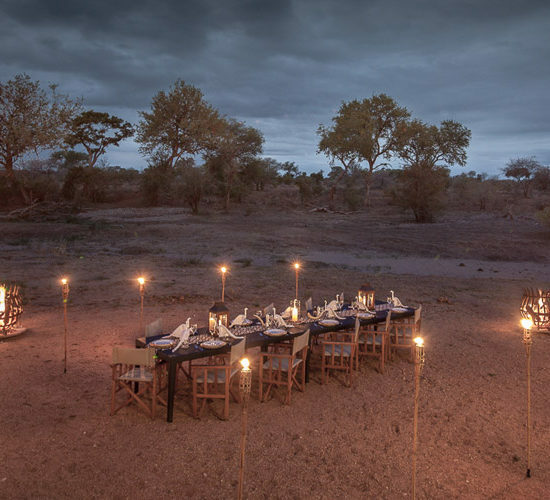 The Timbavati Private Nature Reserve is home of the famous white lion & is not only perfect for a big five safari in South Africa but also offers the magnificent seven with fabulous wild dog & cheetah. 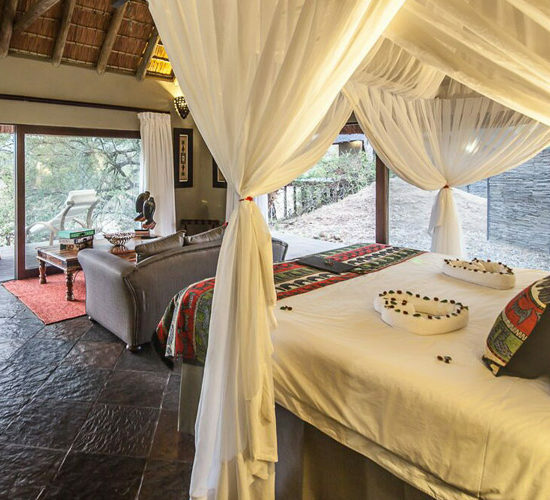 Owner-managed with emphasis on a relaxed yet spoiling ambience, Nicola & Bryce started Kambaku Safari lodge with the vision of building a unique safari lodge for international travellers, offering a homely lodge experience & a passion for the bush with a dream to make Kambaku a favoured destination for wildlife enthusiasts & nature lovers alike. 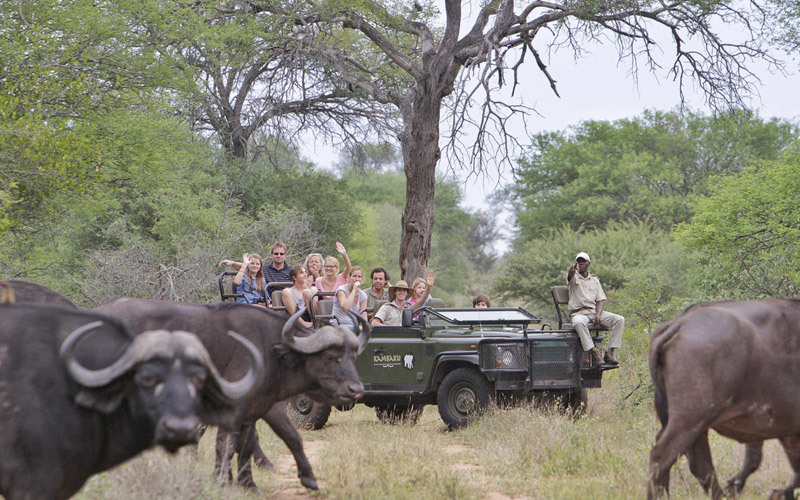 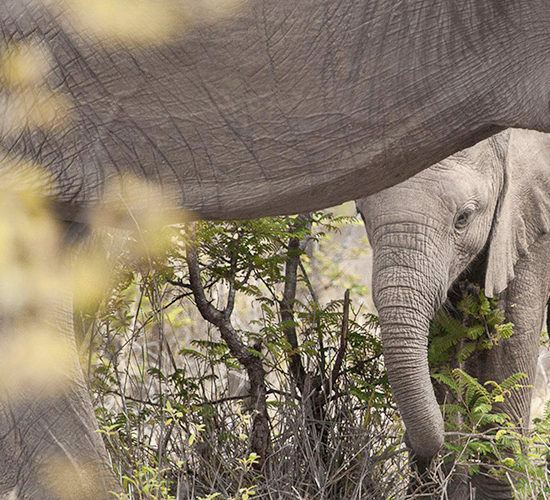 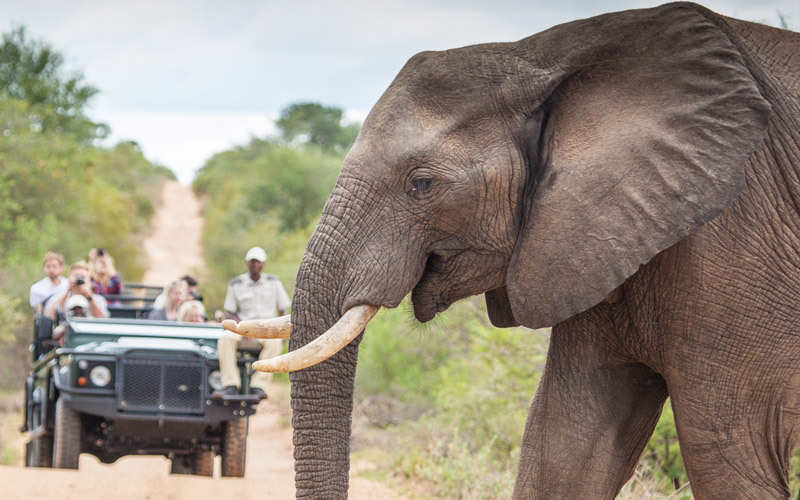 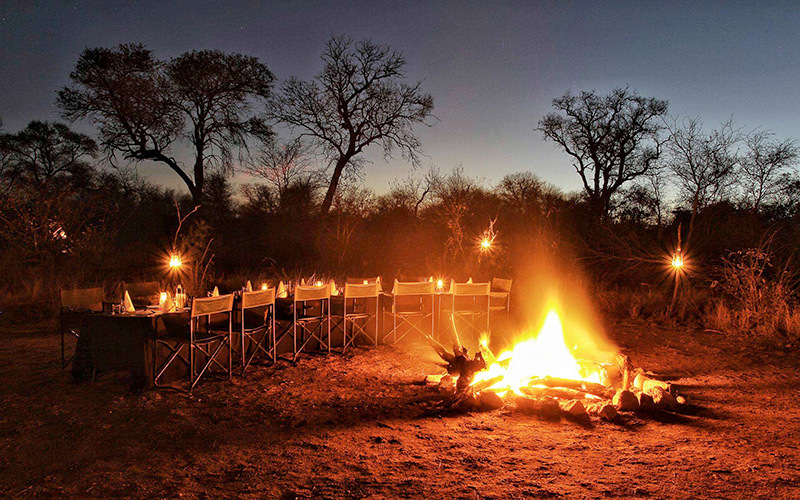 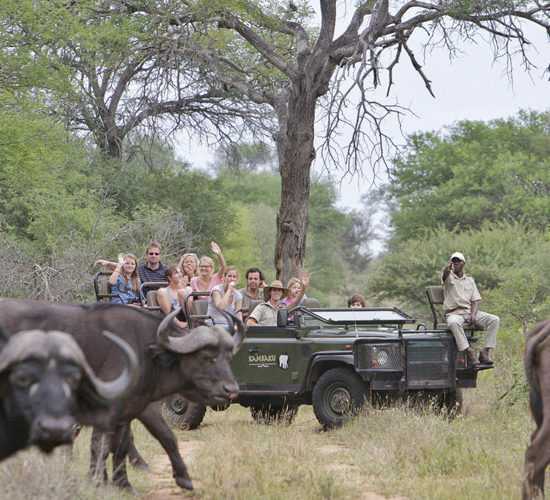 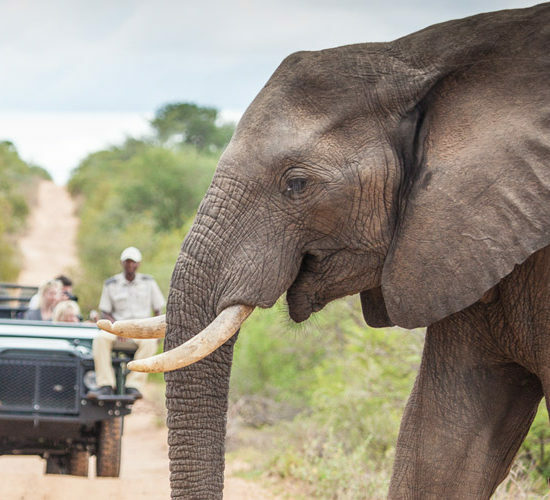 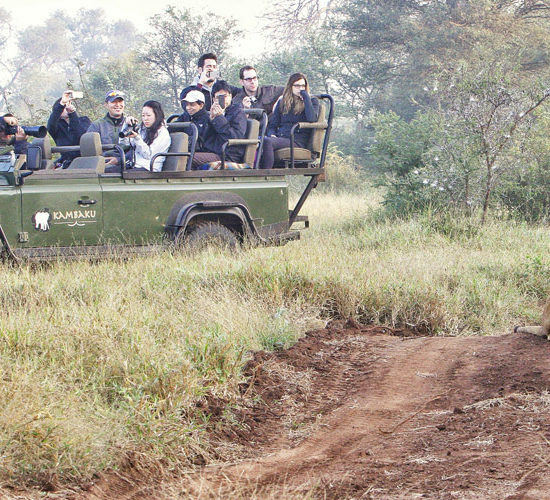 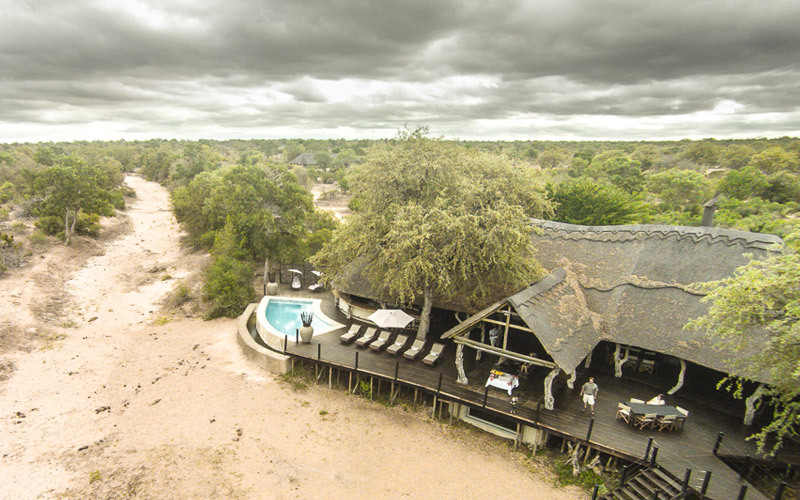 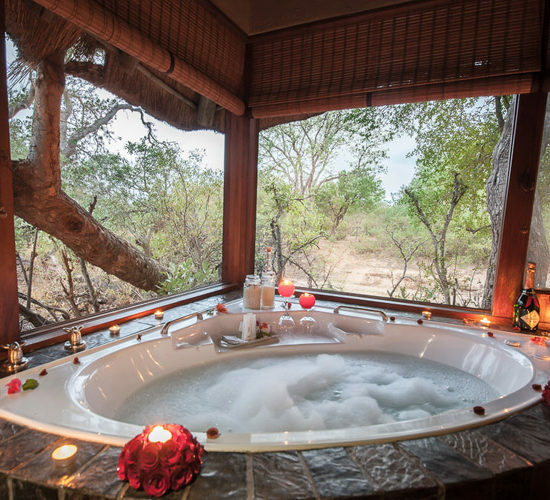 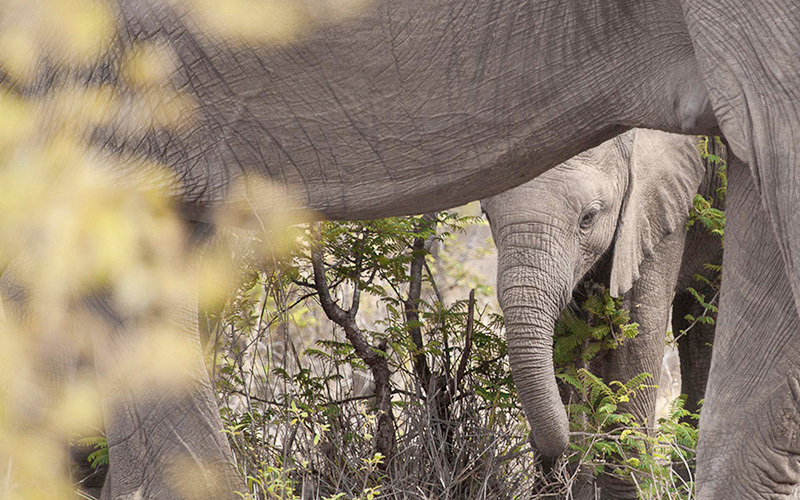 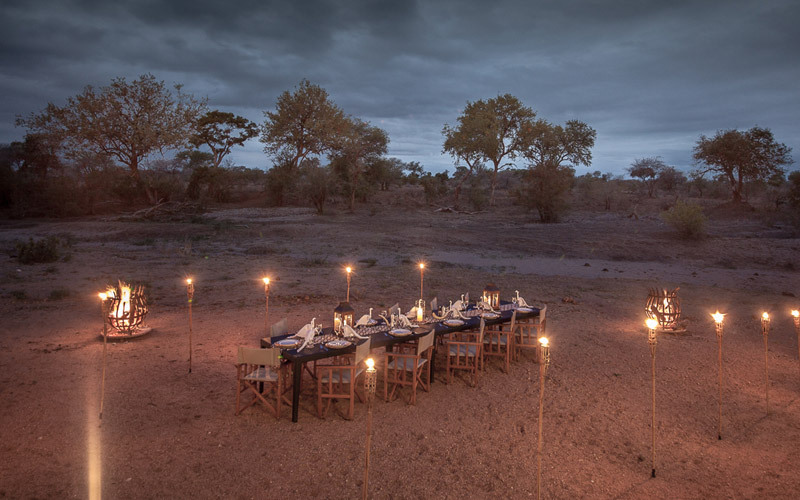 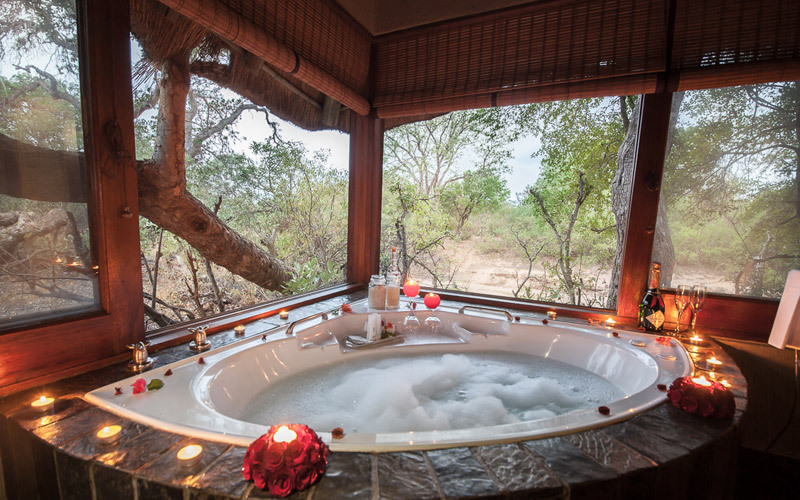 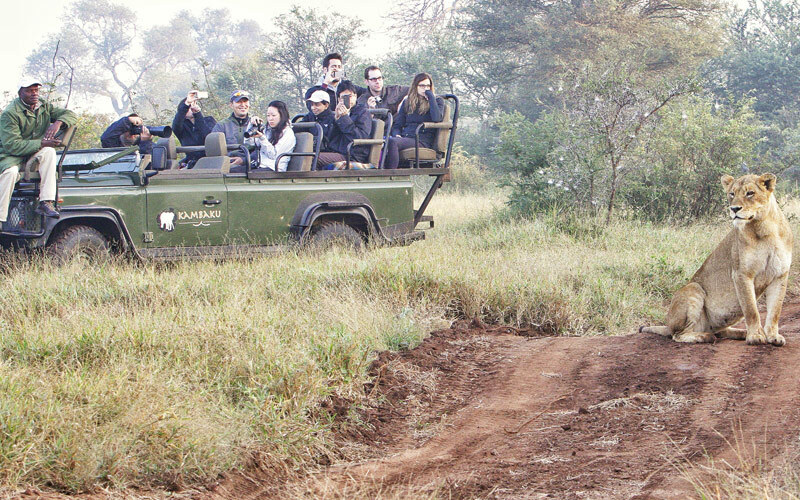 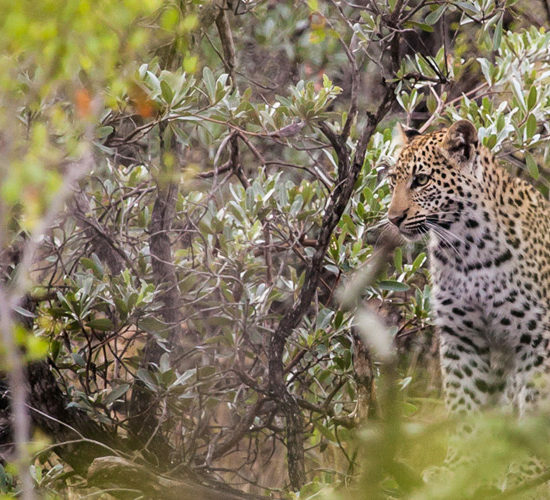 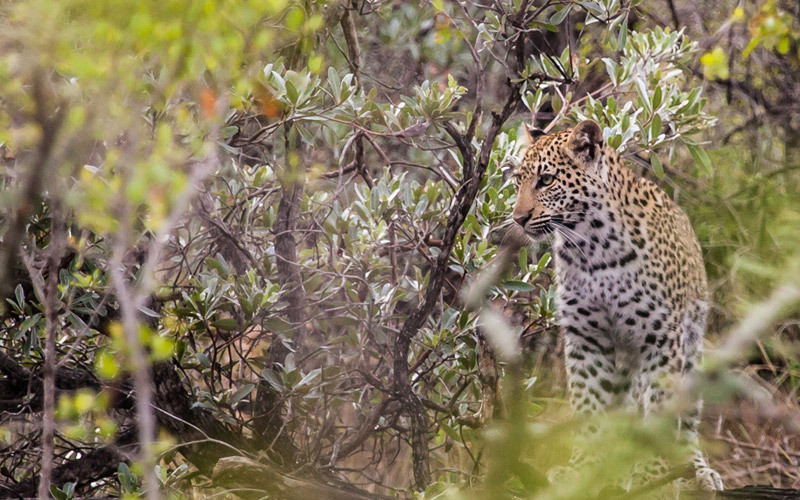 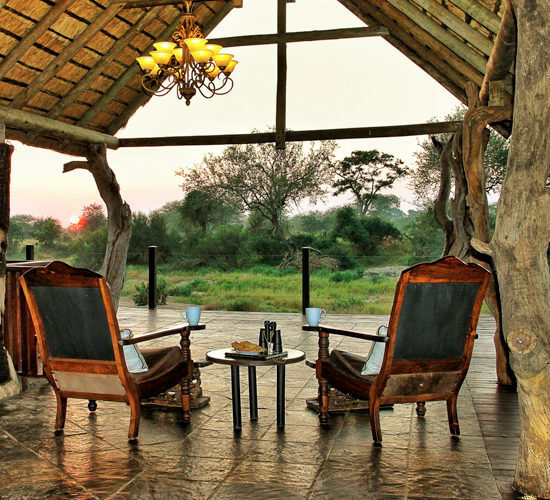 With ever-increasing popularity of the Timbavati as a prime game- viewing destination within the greater Kruger National Park, they extended their brand to include Kambaku River Sands. 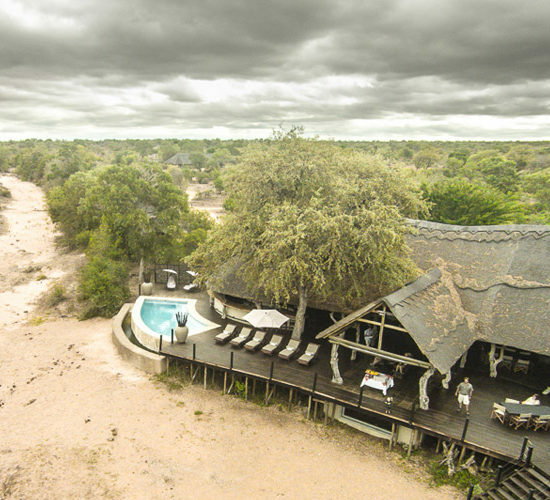 Today Bryce & Nicola take a hands on approach managing both the camps & live on site. 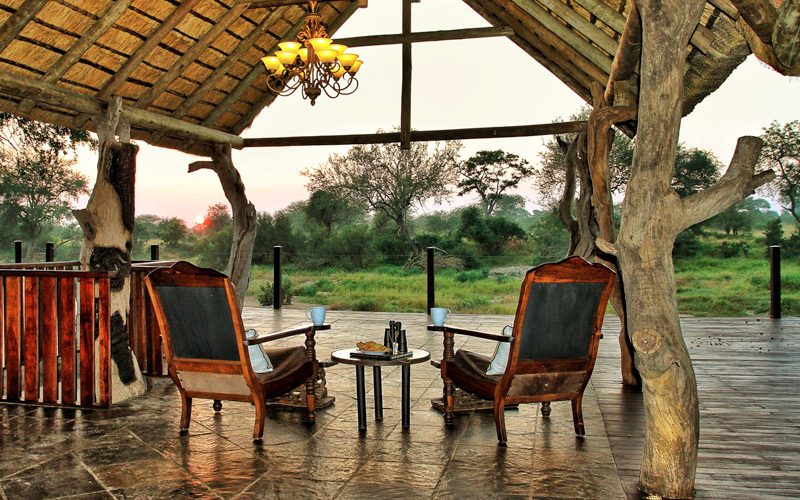 Kambaku Safari Lodge has 8 thatched chalets & is equally suited to couples & families with children of all ages. 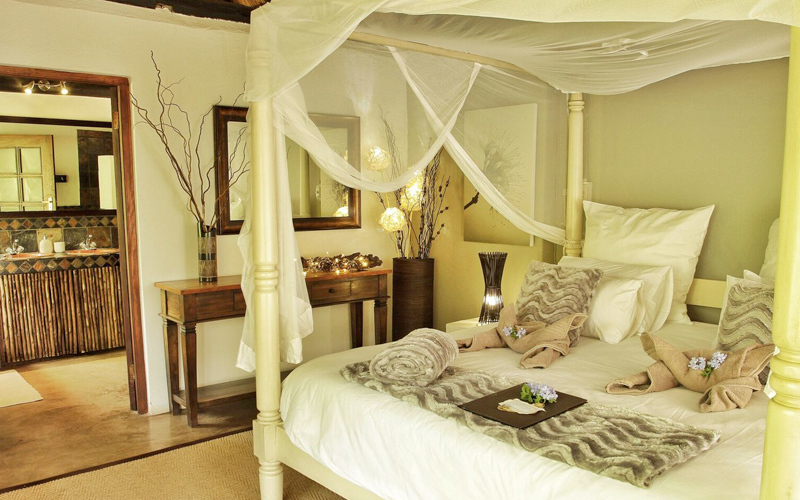 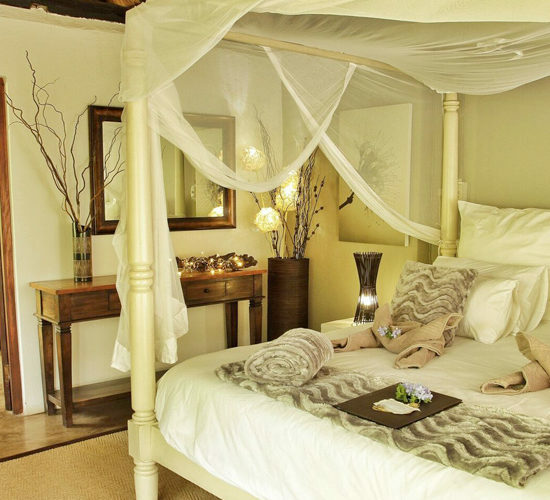 The rooms have been designed to reflect the cool calmness in the heat of the African bush. 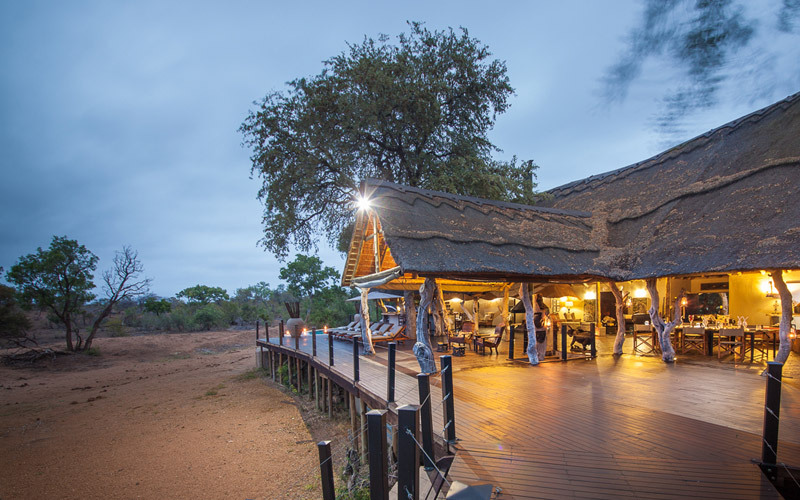 The lodge itself has been designed in horseshoe shape around the camp’s waterhole & is fenced to ensure our younger guests can safely watch life in the bush folding out around them. 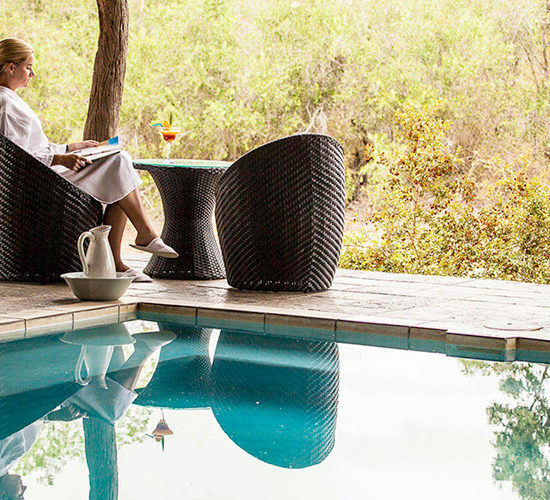 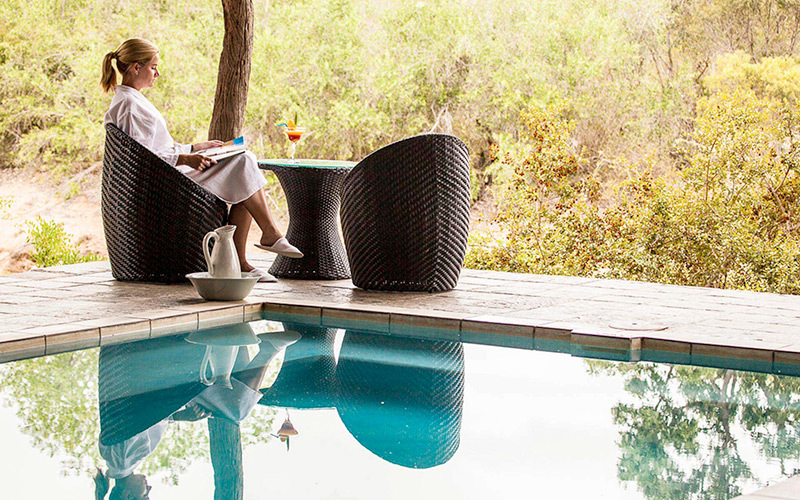 Sister property Kambaku River Sands is situated 19 km away offering a more exclusive experience offering a classic luxury with facilities including a bush spa & gym all served up with the warmth & heart of the Kambaku Lodge hospitality. 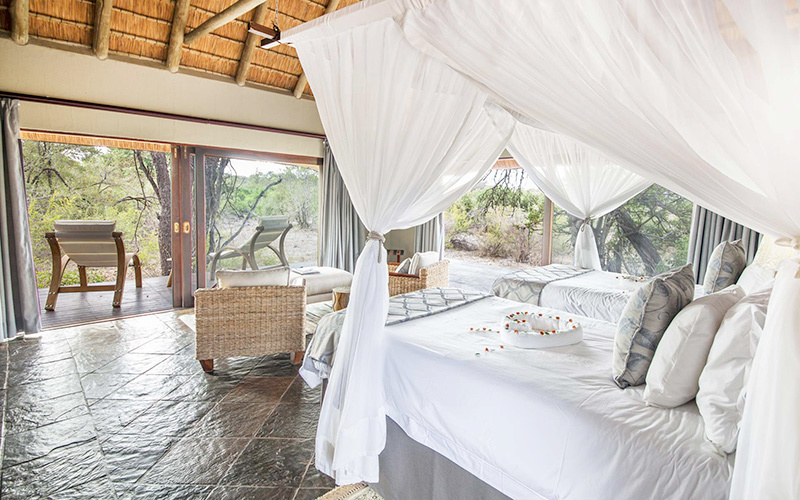 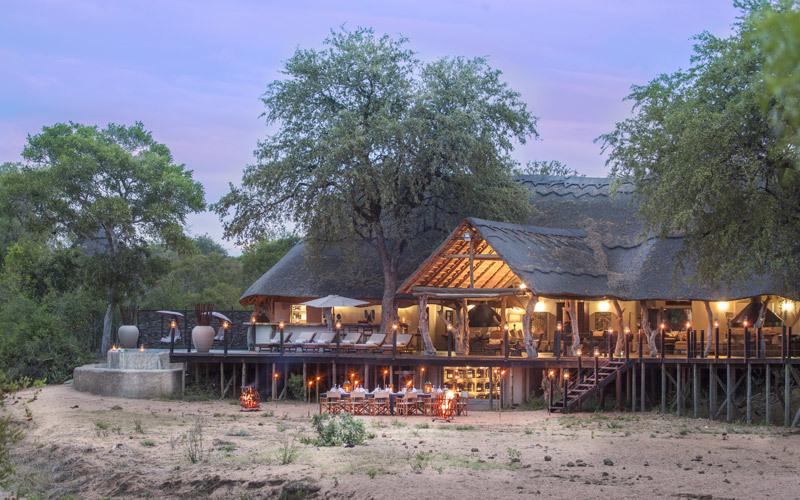 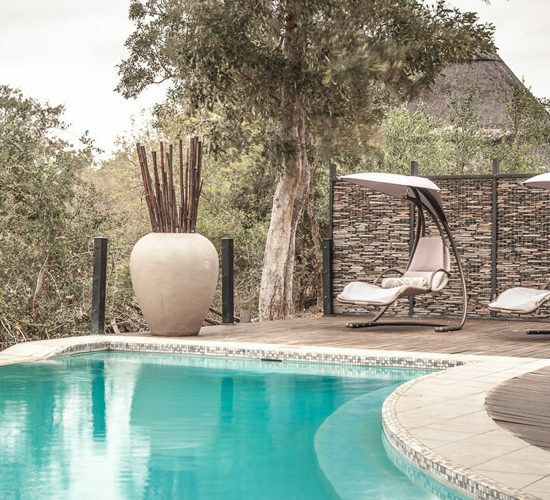 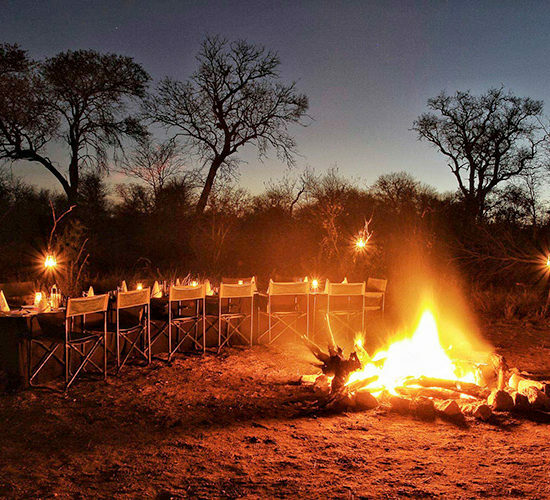 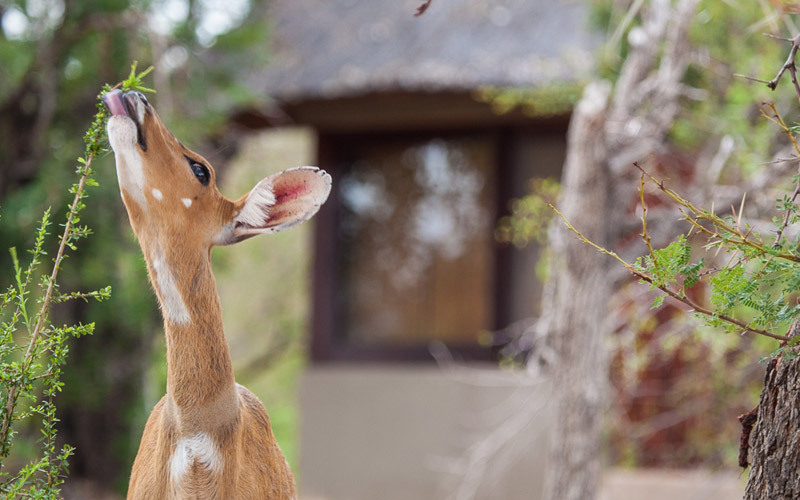 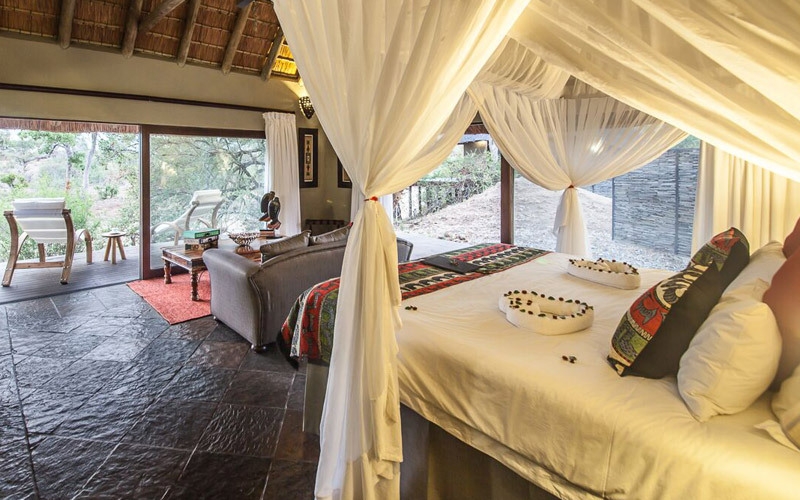 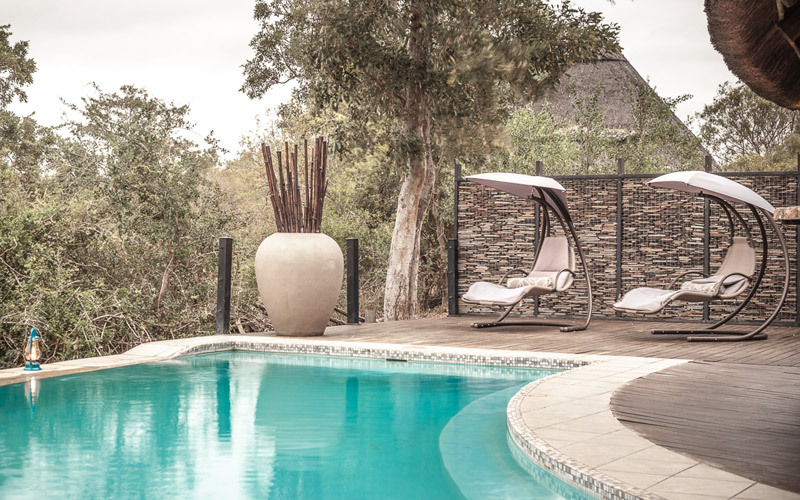 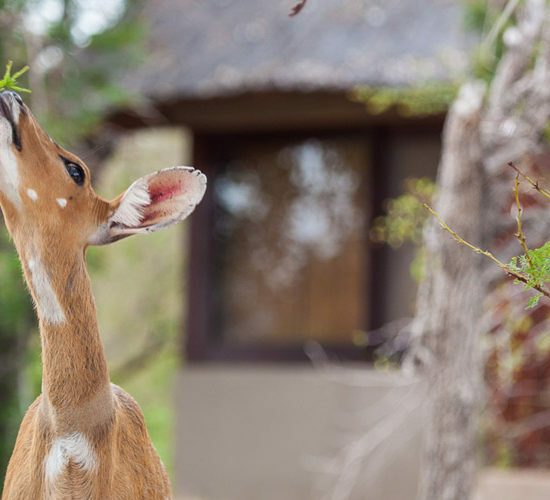 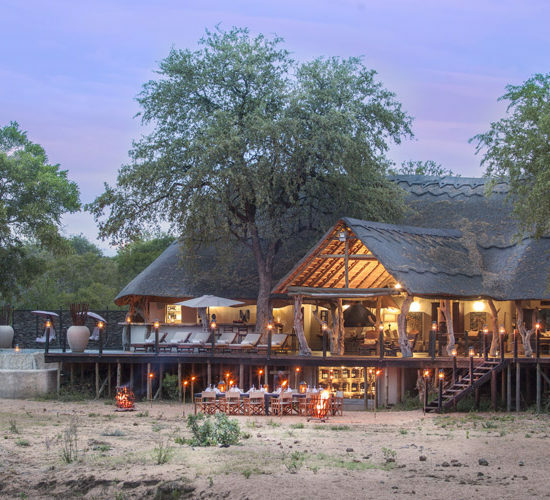 The Camp has ten luxurious suites situated on the banks of a dry riverbed where animals are free to roam & do visit the camp regularly so guests regularly enjoy amazing wildlife sightings from the main area or from their suite. 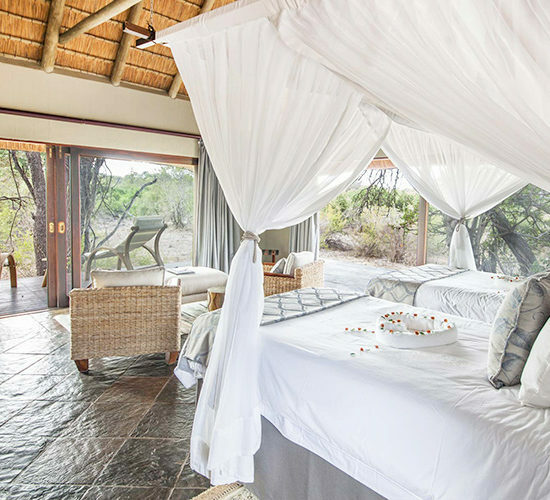 A home away from home, friendly experience is the aim of wonderful owners Bryce & Nicola alongside their focus on being environmentally conscious. 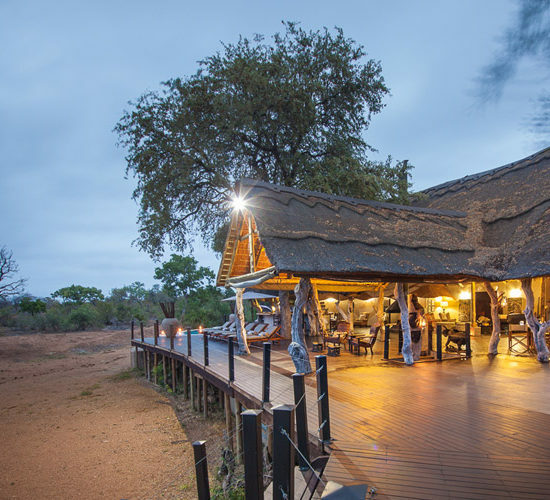 They are proud they are the only fully solar powered lodge in the Timbavati.